A magical princess of Etheria, Penelope has the power to see in all directions. 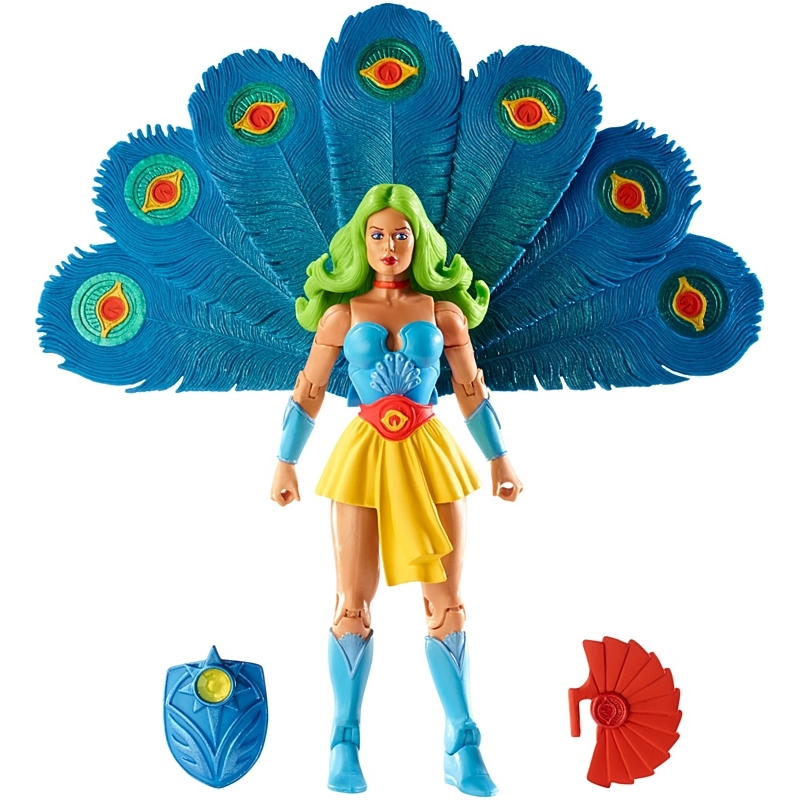 Her fabulous peacock feathers fan out into a beautiful plumage which is the source of her powers and making her a master spy. She is so proud of them that she likes to strut around Etheria just to show them off. It is the eyes at the tips of these pretty plumes that give her the power of omnidirectional vision. This bird’s eye view of all Etheria lets her know when Catra and the Horde make mischief. 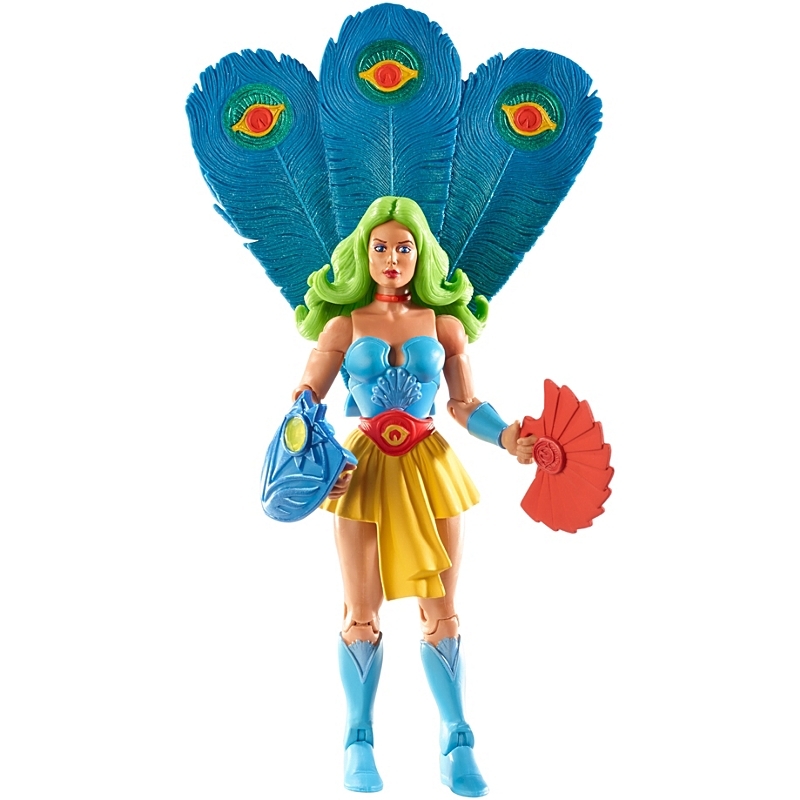 After the Horde left Etheria, she joined She-Ra and the other members of the Great Rebellion on Eternia to continue to fight for freedom and peace. 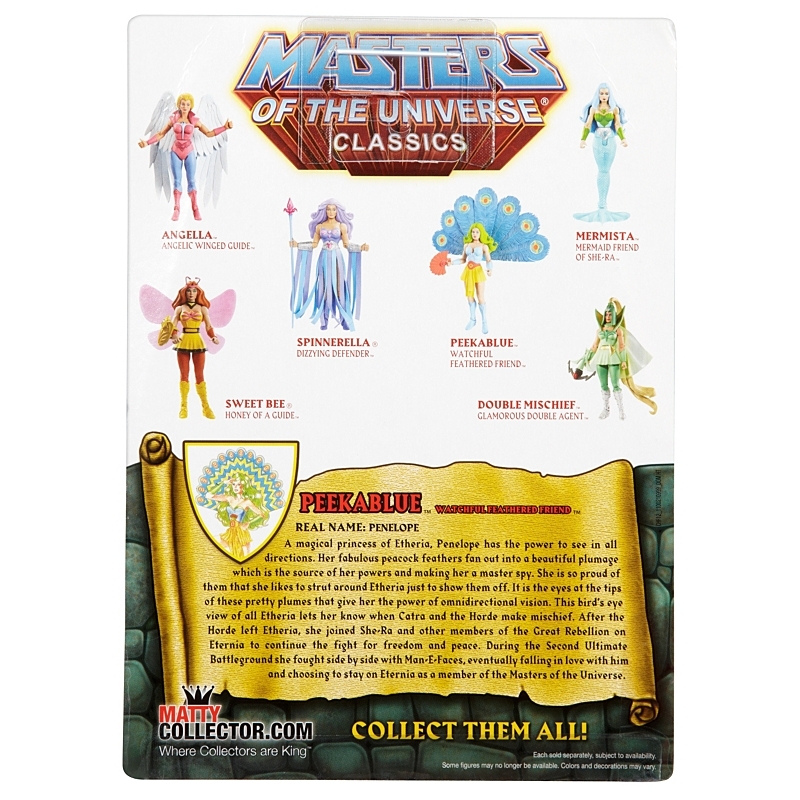 During the Second Ultimate Battleground she fought side by side with Man-E-Faces, eventually falling in love with him and choosing to stay on Eternia as a member of the Masters of the Universe.